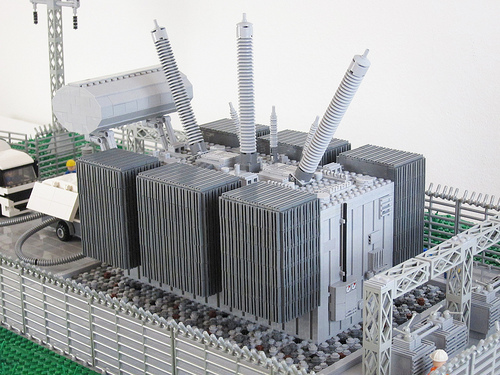 Sweden’s Lego.Skrytsson is providing the power for Saturday’s broadcast with his “Transformer” diorama. Gabriel brings the substation to life with accurate detail and just the right amount of minifig action to keep it interesting and provide some color. The varied textures help to overcome the necessarily monochromatic style, and the overall result is both pleasing and a nice respite from the mostly violent dioramas I come across while looking for models to blog.